SPORAH TV: SPORAH MEETS THE MAYOR OF CROYDON..! SPORAH MEETS THE MAYOR OF CROYDON..! 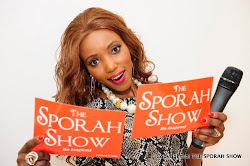 Sporah and the Mayor arrived on the Ultimate Event for Family, Pregnancy, Birth, Baby, and Toddler show..
Well why not do the tour together then? These books for kids ... remembering the times when we were young, huh!! Oh it looks like the shopping has started for the Mayor's wife. Sporah? ... not tempted yet!? Maybe she is now ... will the Mayor convince her to buy it? Sooo ... what do you think? nice isn't it? Mayor checking the bling bling too!! maybe he wants to make a surprise for his wife ... to be followed! And Sporah wants to know everything about it ... so quick training please! Well it looks like she got it ...now you know you can ask Sporah to babysit your kids, they will be safe in her hands!!!! You see, she even puts the baby to sleep ... the Mayor is impressed! Well after this hard work, why not feel our belly with some cupcakes? Tilly Beazeley came to the Sporah show to show her amazing new machine and she is exhibiting and selling her wean machine during the 3 'me baby & toddler show'. If you want your kids to eat healthy, make sure to pass by her stand so she can explain it to you live, you can purchase her products at Boots, Debenham and all the big Strores you know in London. Sporah always remembers her guests! Woaw ... we made it! all the stands one by one ... a must see! Christine Judge, the organiser of the show can be very proud of her work and her team! Time to say 'goodbye' ... see you next year! Michaela so happy with her new toy & she already knows how to pose!!! And she got to meet Sporah ... what a day! "Ok lil' missy, now you can go! But don't forget your bag ... a lady has always her bag with her ... wherever she goes!" (Christine Judge will talk about her show during the Sporah show very soon, check our blog to know exactly when). Mh Sporah, Mambo safi dadangu. On to the next one Sporah. 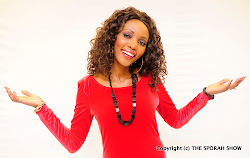 Dada Sporah Soon tutakuona na Queen. Uko juuuuu dada. Cute baby when will you have one Sporah? 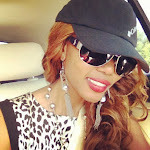 i like the mini story sporah on your blog, very entertaining. Napenda sana unavovaa sporah, napenda kuangalia show yako nione tu ulivovaa. Ukija Tanzania naomba utembelee mji wa Mwanza, utuambie fans wako ili tuje tukupokee na tupate hata picha mojamoja. Cute baby, The future Miss England lol. True true, the next MISS ENGLAND. OOh, The beautiful Michaela louisa jones, should be THE FACE OF SPORAH SHOW. She is very cute, bless her.